Looking for unique drinkware for your party? 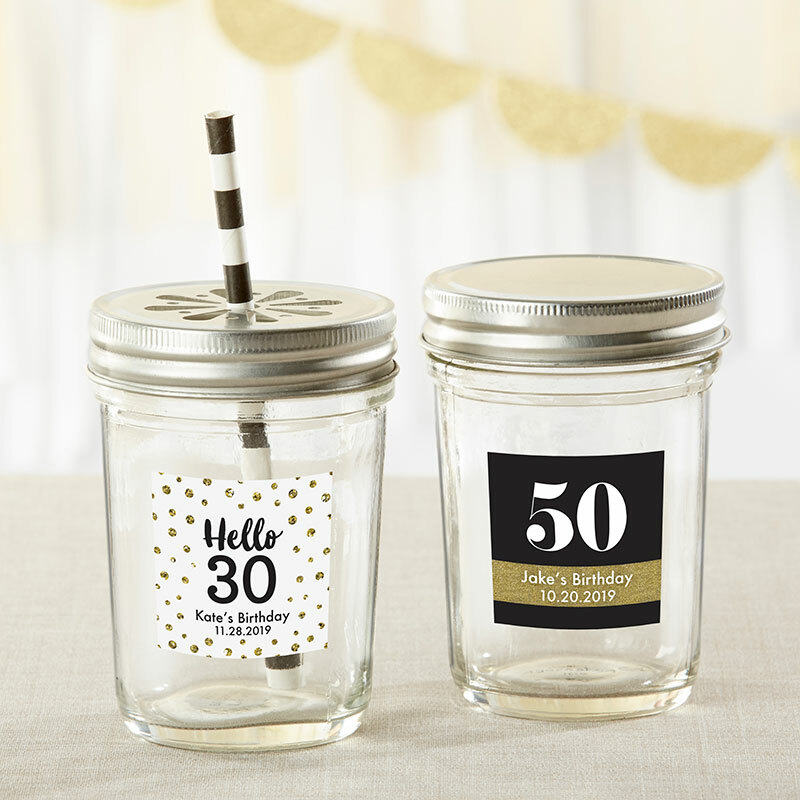 Our Personalized Glass Mason Jar glasses are suitable to quench the thirst of your guests and look sophisticated as decor. 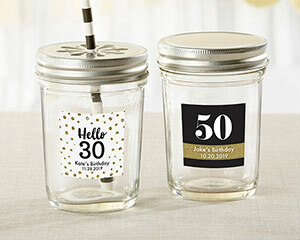 Use these classic jars to fill with confetti as centerpieces or serve with signature cocktails to make a tasty splash at your milestone birthday party.